18K WHITE AND YELLOW GOLD. 0.18ct. 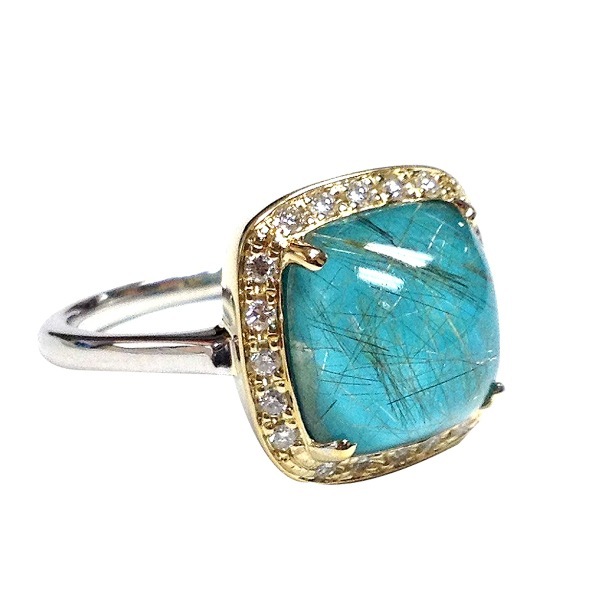 DIAMOND AND 5.36 ct. SQUARE CUT RUTILATED QUARTZ WITH TURQUOISE BACKING.